Tonight we’re going to party like it’s 1979! Oh yeah! Based in the Beds Bucks and Herts area, five-piece wedding, party and function band Huggy Flares has become established as one of the area's funkiest and fun soul and disco bands, performing classics from the legends of the 60s soul era, plus 70s funk & disco favourites (and a couple of more recent hits when the mood takes us as well!). Huggy Flares plays the funkiest soul & disco grooves from an age when Brut 33 ruled the dancefloor and a man wasn’t properly dressed without his medallion. 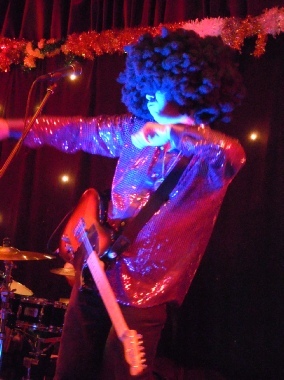 Beneath those wigs lurk four top-quality musicians and a stunning vocalist delivering an enjoyable and professional performance every time to ensure that your event will be a successful one. 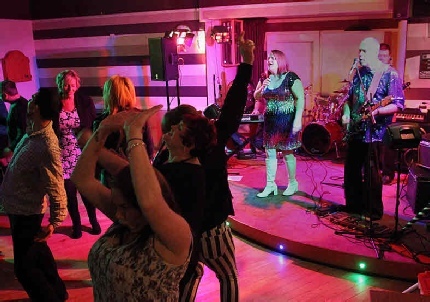 The Huggies bring you over two hours of sixties and seventies music that everyone knows and loves, ensuring that, whatever the age of your guests, your dancefloor will be packed from the first glittery chord to the last swish of the guitarist's impressive flares. 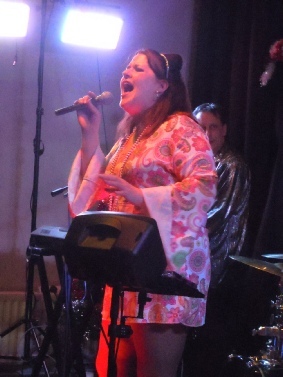 The boys in the band are lucky enough to have one of the best vocalists in the business to work with - with Sue leading the band you’re guaranteed a big, soulful voice and a lively personality encouraging your guests to get groovy on the dancefloor! The band is ideal for corporate functions, private parties, wedding receptions, dinner dances or any other event where you want your guests to get down & get funky. We've all been to events where the band look like they'd rather be somewhere else. With Huggy Flares it's different; this is the music that we love to play, and we think it shows! The band comes with its own professional sound system and exciting lighting, and can provide pre-recorded music to play before the band and during breaks, leaving you free to get on with the real business of enjoying the occasion. All our equipment is PAT tested and of course we have full public liability cover. For smaller events or budgets we also have a duo option - please contact us for details. 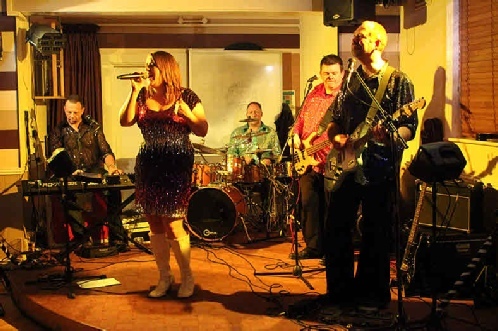 Huggy Flares will deliver an exciting performance which will make your event a night to remember, and with an emphasis on LIVE soulful music which is what we love to play, and what we do best!